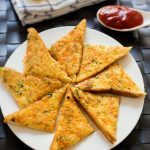 Rava Bread Toast Recipe | Sooji Bread Toast Recipe with easy step by step instructions for your easy understanding. Yes, yes, yes… I can hear what your are saying… Another bread toast recipe?? 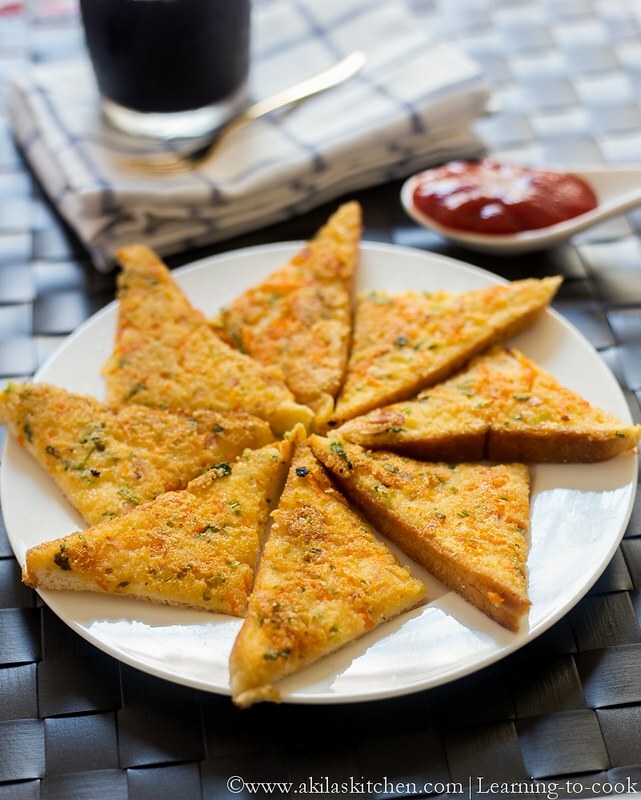 ?😳 This time I am with a tempting Indian Toast – Rava Bread Toast. Yeah.. Now a days I have become bit lazy to prepare our Indian breakfast items in the Saturday mornings and going with the simple bread toast recipes and have bookmarked so many recipes. I am going to try those in the coming weekends always and share the recipe here.. So bear with me 😜😜. I took the basic recipe from Padhu and altered a bit for my taste and it came out good. So here is the simple Rava Bread Toast Recipe..
1. Mix all the ingredients together except bread and butter. 2. Spread the mixture on one side of the bread. Meanwhile heat the tawa or pan and add little butter. Place the normal side and toast for few minutes. 3. Now flip to the other side and toast it adding little butter on the sides. Turn and check if they are cooked. It should turn light brown colour. 4. Serve it with ketchup or eat as it is. In either way it will be good. 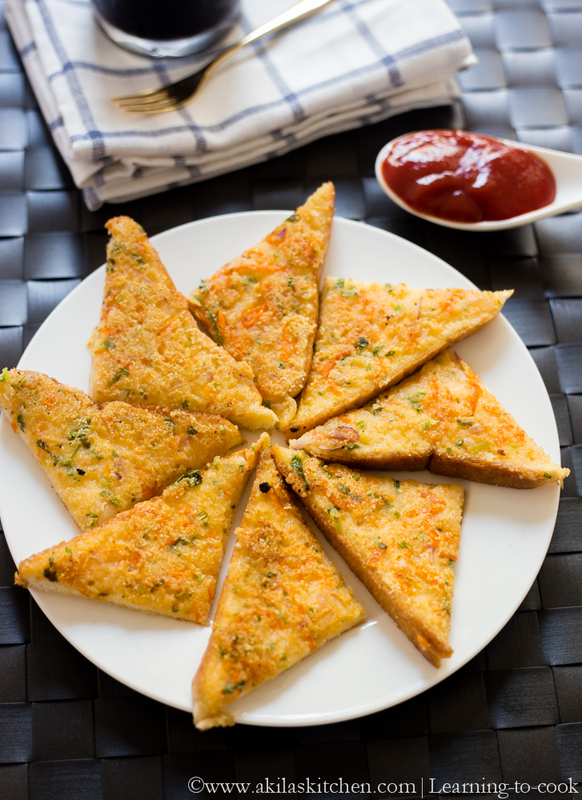 Tasty and easy Rava Bread Toast is ready. 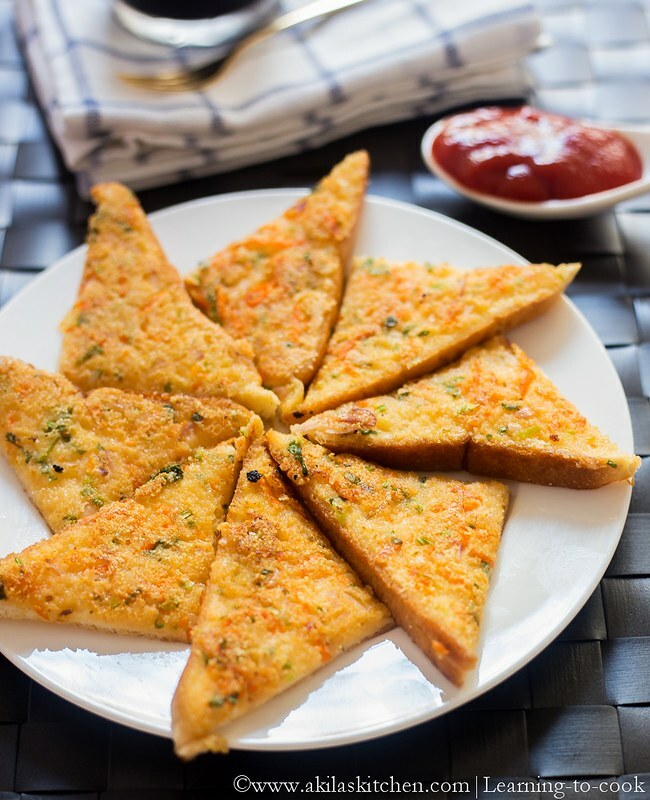 Rava Bread Toast or the Sooji bread toast is a tasty and easy Indian bread toast recipe which can be prepared very easily in lazy mornings or as a evening snack. Mix all the ingredients together except bread and butter. Spread the mixture on one side of the bread. Meanwhile heat the tawa or pan and add little butter. Place the normal side and toast for few minutes. Now flip to the other side and toast it adding little butter on the sides. Turn and check if they are cooked. It should turn light brown colour. Serve it with ketchup or eat as it is. In either way it will be good. 1. You can avoid green chillies, if you giving to your children. 2. If you want you can add the Rava mixture on both sides and toast it. I did in only one side. 3. You can sprinkle some chat masala before serving if you want. 4. You can add finely chopped bell peppers, If you want.